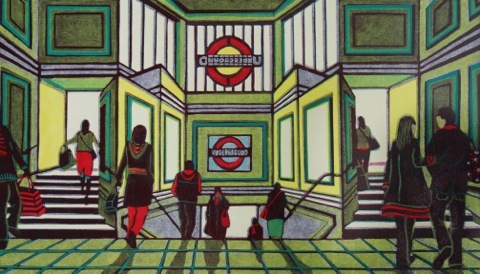 Here is my latest linocut, showing the interior of Balham Underground Station. It’s inside the north entrance at that point where you turn to go down into the ticket hall. This was a tricky subject, as I wrote in my last post, but I do like a challenge. 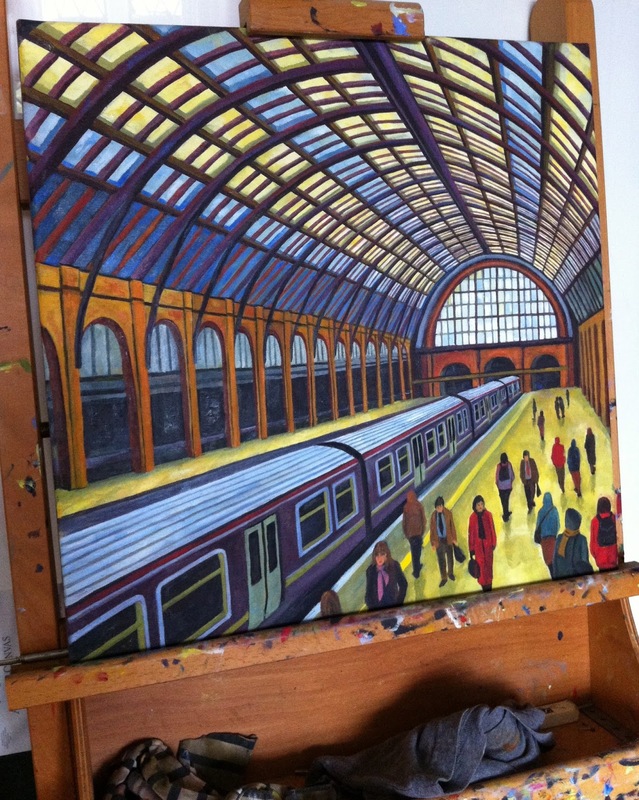 I’ve called it Gateway to the South, courtesy of Peter Sellers….